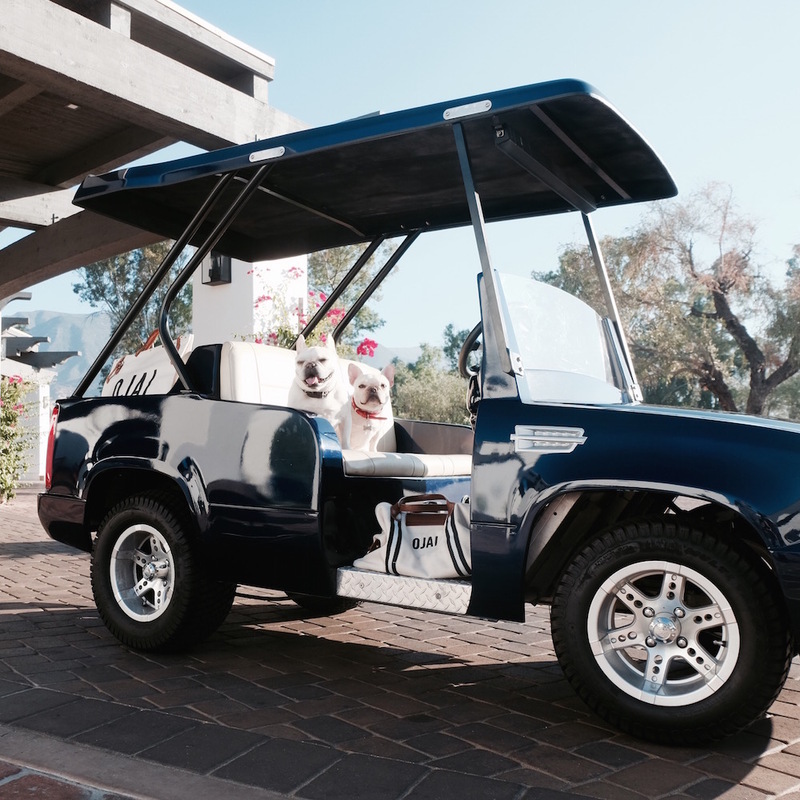 WIN a 2-night Stay at Ojai Valley Inn + Golf, Breakfast + More - Where's The Frenchie? The Most Dog Friendly Place On Earth? Of all the places in the world, I think Weston + Fira’s favorite place is here… Ojai Valley Inn. Around 5-6pm, Weston starts getting antsy, paces around and stares at us begging to go to the Inn. Once we get there, they shoot out, running full-force through the grass and I get the feeling they feel the most free… the most wild (haha) and happiest. I partnered with Ojai Valley Inn to give one winner a 2-night stay at the hotel, golf for two, a somadome session (a really cool meditation pod for one at the spa) and breakfast for two! 220 sprawling acres to explore… and no weight restrictions for pup-guests. Making s’mores at the firepits. Get in touch with your creative side at the Artist’s Cottage! We also made a mini film called Ojai Dreamin’ that I had so much fun making. I think it embodies my experiences in Ojai… also discovered one of my new favorite songs from a band called Valaska – Golden Age. Giveaway closed. Congratulations to Shari Alexander! Leave a comment here with which feature of the hotel you’re most excited to experience! 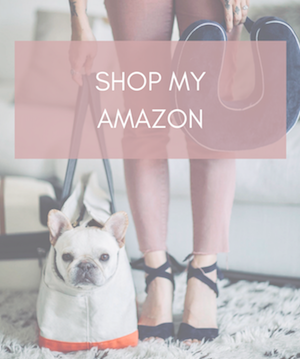 Make sure you’re signed up for my mailing list on this blog so I have a way to email the winner (you?!). Repost this giveaway on Instagram and Facebook with hashtag #eatplayjetset. Leave a comment on my Youtube video. Ends October 18, 2017. No purchase necessary. Winner will receive a voucher for two night stay at Ojai Valley Inn property, golf package for two, one somadome, breakfast for two (up to $60). Must redeem Sunday-Thursday and by October 20, 2018. Winner will be notified by email on October 20th. The number of eligible entries received determines the odds of winning. We would love to win! We would visit the spa first, then enjoy lounging by the pool and playing a round of golf! Fingers crossed! Excited for the spa and golf, but it all sounds amazing. Love Weston and Fira!! Can you all come too? Us and our little Frenchie, would love a family holiday!! I’d imagine our ideal day would start with piggy sniffing all the grass, then maybe some tasty breakfast picnic where, our piglet could sit in the basket and see the sites while we relax and stretch out our LA traffic cramped legs. Then maybe some spa time, and pool lounging before we all cuddle up and wait for the pink moment! I love Ojai and all these puppies! The mediation and warm friendly and inviting inn is just the kind of place my husband and I need so some much needed r & r and to reboot. Would love to enjoy a getaway to this beautiful gem. I am most excited about visiting the pool if I win the getaway! Gorgeous resort! Those pups are adorable! I would love to get away from the city to relax at this beautiful resort! I’m most excited about the somadome session!! i would love a relaxing getaway!! i’m so excited for the spa!!! My frenchie Kota and I have never been to Ojai! She would love to run around in the grass!!! Oh goodness!! While we love our boys (3 little humans and two giant bears) we would love a quiet getaway. Not sure if we’d enjoy the 220 acres to explore or Linus bikes. Just a place to have uninterrupted conversations of our dreams and hopes for our future. What a gift this would be. Our family (including 2 year old pup Zoey) would be most excited about spending time together away from our day-to-day and catching the view from Ojai Valley Inn of the Topa Topa Mountains for the “Pink Moment”. 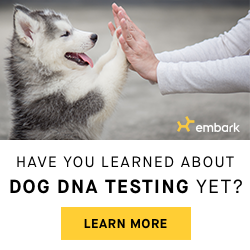 I am most excited for the dog-friendly aspect! We travel with our little guy, Hank all the time! It’s a hassle finding places that are dog friendly. Being able to explore the grounds is even more appealing! Our 8 month old frenchie is full of energy and loves running around where ever we go! OMG I love this giveaway idea and either way love knowing how beautiful and dog friendly this place is… I would love to come here with the hubs and most importantly, little Charlie the Frenchie and take him biking around the property.. followed by dinner, drinks and S’mores! Omg this hotel is gorgeous!! My two Frenchies would LOVE to stay here with their mom & dad! If we win, we are most excited about coming s’mores with the whole family, chatting and catching up on quality family time!! Out of all the things to do, I think Moose (my frenchie) and I would love to walk around and explore! He loves meeting new people and shaking his rump for them in excitement. My pup Penny would LOVE to explore the 220 acres! We live in the city so she doesn’t get the opportunity to do that ever. Also, I would love to go biking. So enchanted by this property! Would love to go to the Dpa! This looks perfect! For us and our Hatter. 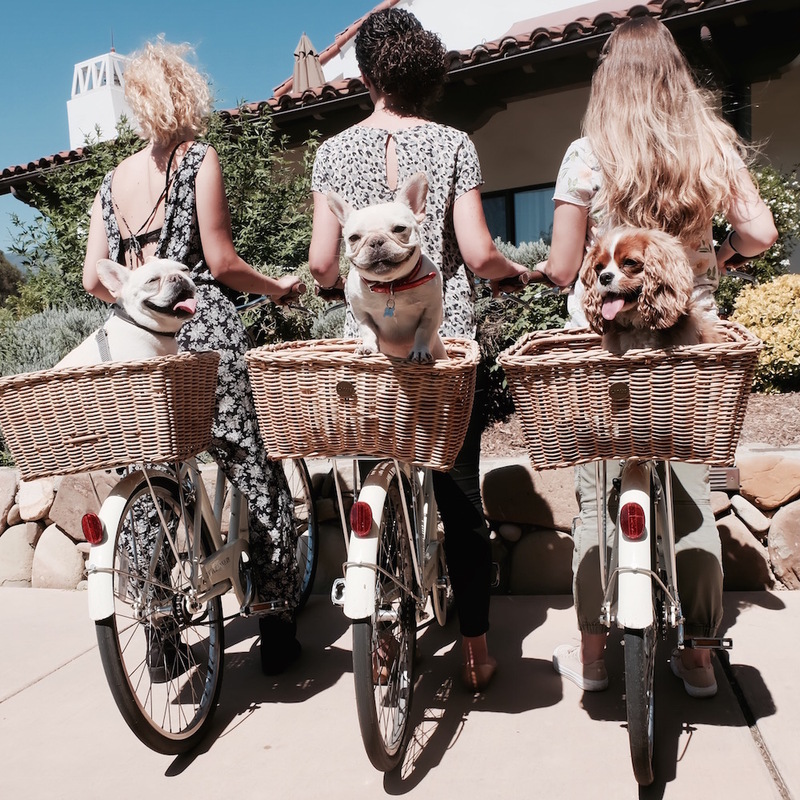 Love the Ojai Valley Inn & Spa and would love to take the Linus bikes out for a spin with my pup! riding around on a golf cart, hands down! One comment or one thousand comments. Ojai Valley Inn and Spa is a magical place. So gorgeous (both the frenchies and the grounds). Have visited but haven’t had the opportunity to actually stay there yet. Would love to do it with my new pup! Would love to explore the amazing grounds! My husband loves being able to spend time together outside and this would be a perfect getaway for the two of us. Thank you! Technically, as a handsome Frenchie, I cannot check in to a hotel 🙄I’m here to voice that I would love for my mom, Lauren Petzke, to win so that I may meet Coco, be taken for bike rides, and enjoy the spa treatments and copious amounts of treats. That is all. Ps. Fira- you are very cute.. perhaps if we meet at the Ojai Inn I could hold your paw as we wander the grounds? Or if that is too forward, just a drink under the shade of an umbrella while our pawrents swim? I am a Waldorf Kindergarten teacher. I would love to win to have the opportunity to for a little self care as I spend my year taking care of others. I would be most excited about floating in the pool and forgetting about the hustle, bustle, and stress of the school year. Pick me! Pick me! I have a super cute poodle too! We (my long-haired sweetheart of a dachshund Harley & I) would love all the open space to run around and explore!! I’d love to come and check out this place. I’ve heard about it for years!! But of course, would love to verify in person. I need a massage at the spa! Yung Falf and I are so excited to win our stay in Ojai! He’s been itching to get out of the city and rest his tiny paws. Plus, now he can stunt his golf gear and meet some fellow Boopsters! Recently started following Ojai Valley to plan a trip some day. Would look forward to the spa and enjoying the outdoors, exploring with the bikes. Our frenchie Winston will have to also follow your frenchies. They are so cute. OMG I absolutely loved this resort when I came with 3 of my friends a fee years back after tax season ended to relax. It was pixie season and it was great! I had no idea it was a pet-friendly place! I got my 2 frenchies which I would love to take with me! I am so excited that I can stay this beautiful hotel with my two dogs. I think Everyone know that it is very hard to find beautiful hotel when I with my precious dogs. In addition, I really want to play golf at Ojai Valley. This would be a great opportunity to slow down and enjoy a beautiful weekend with my handsome man , Whiskey. I know he would love to run on the grass, make friends( of all species) and go for an adventure ! Would love to win so we can explore all 220 acres and maybe a pawdicure at the spa! I am most excited about exploring the beautiful grounds with my dog. He loves road trips and traveling with us so Ojai would be perfect! Ojai is so gorgeous! My husband and I have always wanted to stay at the Ojai Valley Inn. The Kuyam mud treatment sounds awesome! Been looking for amazing places to travel with @stevethesocalfrenchie ! Getaways aren’t worth it without the pup! Uh, I’d love to try the meditation pod! How unique! I love frenchies! My little and family & I can’t wait to lounge in the Indio pool & order some yummy drinks & food! I want to have a Spa day! I’ve always wanted to take my frenchie, Gibson, here! We would definitely spend our time walking the beautiful grounds and lounging by the pool. Jean-Georges would join his pup daddy on the golf course since it’s way too hot in Houston to do so! We would also live it up exploring the outdoors in the beautiful Cali weather as well as dine alfresco! Xoxo! Ohmygoodness! So beautiful! @ellie_says_hello would love running around unhindered, while his mother would love the artist’s cottage! It would be totally pawsome to spend a couple days living the same luxurious life as Coco! Belgian Waffles and Bubbly Mimosas for breakfast! Exploring the 220 acres of lush landscaping (in a basket on my Linus bike with my chauffeur aka Mom of course) and being treated like royalty! Plus for my Mom relaxing at the Indigo pool and a visit to the spa would be amazing! The trip would be a dream come true! I can’t imagine a better place to #eatplayjetset than Ojai Valley Inn! We love our neighbors over the hill at the Ojai Valley Inn & Spa! Hands down their spa is the best!!! Sign us up!!! The 220 acres are perfect for Carlton to run around and be crazy! What a beautiful hotel. This would be the perfect escape for my perfect wife, she’d be in her own heaven enjoying the Spa, relaxing poolside, spending time with the picnic and pedal experience as well as the gorgeous rooms and facilities across the property. What a great giveaway! We would love the time away at such an amazing place for both pups and people 🙂 I would most look forward to bike rides and snuggling up with my pup around the fire. Thank you! Our pup, Flynn, would love it! And so would we! I think my baby boy Brooklyn will be most excited about the s’mores! Have always wanted to play at that beautiful golf course and get away. i would love a relaxing getaway!! i’m so excited for win and spend time on the beautiful Hotel! ❤️ I would be very grateful! I’m stoked for the spa and the soma dome! EEEEE! Ojai Valley Inn is where I first met Weston and Fira! It seriously made my YEAR to see their wiggly little butts running up to our hotel balcony. My favorite thing at the hotel would have to be the smores bar… maybe tied with the spa. I love it all. Fingers majorly crossed! Spa treatments, golf carts for my frenchie self, s’mores, great food, did I mention the spa? Those bike baskets looked pretty great. No weight limits may come in handy after I do all the eating 😘 My human is sending this in for me @harlowsgoodlife. We both think it looks amazing!! 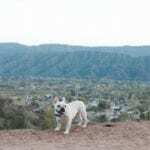 I am new to Los Angeles and I definitely need to get out and explore new areas of CA with my Boston terrier named Junie B. Ojai looks like the perfect place to relax in the spa, reconnect to nature, and maybe even get some exercise! Junie B would love to meet new pup pals and snort around the hiking trails before plopping down on a comfy chaise by their shimmering pool!! 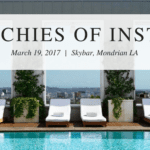 💕🐶 it is amazing that you have partnered with the Inn for this giveaway – the winner is one lucky dog! My husband and I would love to win! We have yet to enjoy a honeymoon we got married in June! We really need the break, we have two fur babies, so we are so in love with the fact that the ojai valley inn are animal lovers just like us. Would LOVE to win!! As a full time student, a spa and pool day is MUCH needed!! Definitely something I would enjoy if I were to win 😉 FINGERS CROSSED!!!! My favorite thing to do is grab a craft cocktail and sit on the green to people and puppy watch! That’s what my boyfriend and I were doing when I spotted Winston and Fira and bolted to meet them. We have been daydreaming about going back since! The spa was also a serious highlight. I am sad to have missed Coco and hope to boop her nose on a return trip!! Omg! My mom and dad have been dying to take me on my first big trip!! I want to ride in one of those baskets!! Bella is mos excited about the pool where I’m more excited about the golf! 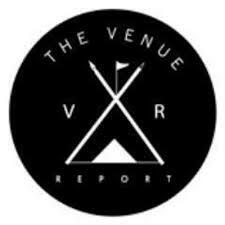 I have enjoyed golf and the restaurants at the Ojai Valley Inn many times but have never stayed a night. I’d love the full experience. Thank you much! We would love to sit by the fire and make s’mores! Maybe even share a ‘mallow with the pups! Golfing, eating fresh food and enjoy the most unique and special spa treatments with my daughter and French toy chocolate poodle, Louie, would be a dream come true! A meditation spa would be such a treat. 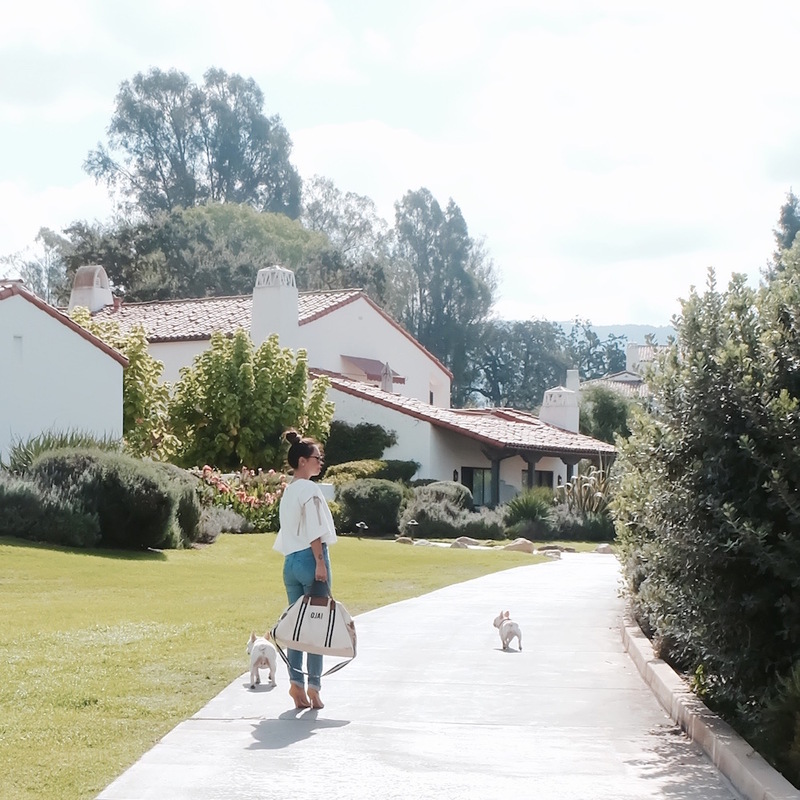 My pug and Jack Russell would be in a doggy day dream at Ojai Valley Inn. Omg my pup Henry would love it here. I think we would be most excited to chill under one of those big blue umbrellas at the pool. Ojai Valley Inn is my happy place! I would love to win a trip to relax in the spa for a mental health break. If I won the contest I would 100% bring my Shih Tzu! (Mochi). I would probably enjoy the weekend taking lots of naps, golfing, ojai sunsets, and enjoying the tranquility! Gosh, where to start, it’s so lovely. I would really just love to see my pup, Howie, enjoying running across all that grass, eating outdoors and relaxing. Those bikes look pretty too! Lounging by the pool or painting in the cottage would be our first stops. We love the Ojai Valley Inn! We would love a get away!! Exploring the grounds, getting artsy, and hanging by the pool with Stst and Moon would be amazing!! A dream come true! My husband and I and our little Kodi Bear would LOVE to get away here! We’ve been trying to find a place to get away and with a pup it always makes it harder! I would love to gift this to my sister and her fiance. She took engagement pictures here and I’m sure she would love to revisit the grounds and explore more. He likes golfing and I’m sure she’ll need some spa relaxation time. Would LOVE to bike around and visit 7om and the spa! Ojai Valley Inn and Spa is our favorite hotel. We love the spa, restaurants, and golf but would love to visit with our Corgi pup, Seren Roc. I’m looking forward to a bike ride with Seren in the basket. We hope to visit in time for their pixie orange cocktails. Delish!! I love sitting out on the lawn with my boyfriend and puppy. Thank you! Such a dreamy poetic place- and video! I’d love to experience it all and have a chance encounter with the famous Frenchies! If I don’t win, can I at least be treated with more beautiful vids? Girls trip to Ojai Valley Inn & Spa was one of my best trips! So much fun, spa trips and the artist cottage. Add some orange blossoms in Ojai and you have my most treasured memory. Would love to go again and share that trip and give someone else the joy of Ojai memories. Our adorable rescue dog Riley (he rescued us) would love the quiet walks and peaceful setting at OVI! The sprawling 220 acres to walk around sounds delightful. S’mores sound sweetly delicious. Ojai is a treasure. And even better where you can bring your most treasured friend. Can’t wait to go again. Love Ojai Valley Inn!! What a wonderful giveaway! My daydream… arrive and sip on some coffee and enduldge on sweet treats from Libbey’s and hit some balls at the range. I would love to relax at indigo pool by sipping on some bubbly and enjoy a healthy snack with my pups, then head to the spa to rejuvenate, possibly make my own fragrance. My evening would be a sunset bike ride and witness the pink sky and dinner at the Olivella followed by a long walk taking in the beauty of the stars. The part I’m excited about? DOGS, obviously! Love Ojai!! Met you at Jimmy’s Pub a couple months ago and have been following you ever since! Would love to stay their with our dog Lola! Wow! I’ve been to Ojai before, but I never knew how beautiful Ojai Valley Inn is. My fiancé wanted to book us a stay there, but I had no idea it is pet friendly! I can’t wait to visit with our furbaby! There’s too many options to choose one fav! Lots of walks with the pups, the spa for me and I’d love to see the artist’s cottage! We’ve read and heard wonderful things about Ojai’s holistically-grounded philosophy and Ojai Valley Inn as the crowning glory of this culture. Soooooo excited at the prospect of getting to visit this wonderful gem with my mum! We’ve read and heard wonderful things about Ojai’s holistically-grounded philosophy and Ojai Valley Inn as the crowning glory of this culture. Soooooo excited at the prospect of getting to visit this wonderful gem with my mum! We’re most excited about bicycling around town on OVI’s Linus bikes! *made sure to answer the question this time! I most look forward to doing the art experience at the spa resort. I also thought your you tube video was smart, short, sweet, and most importantly made you smile. I love a short walk with my Frenchie Eloise and I look forward to meeting CoCo. The Spa is calling my name! 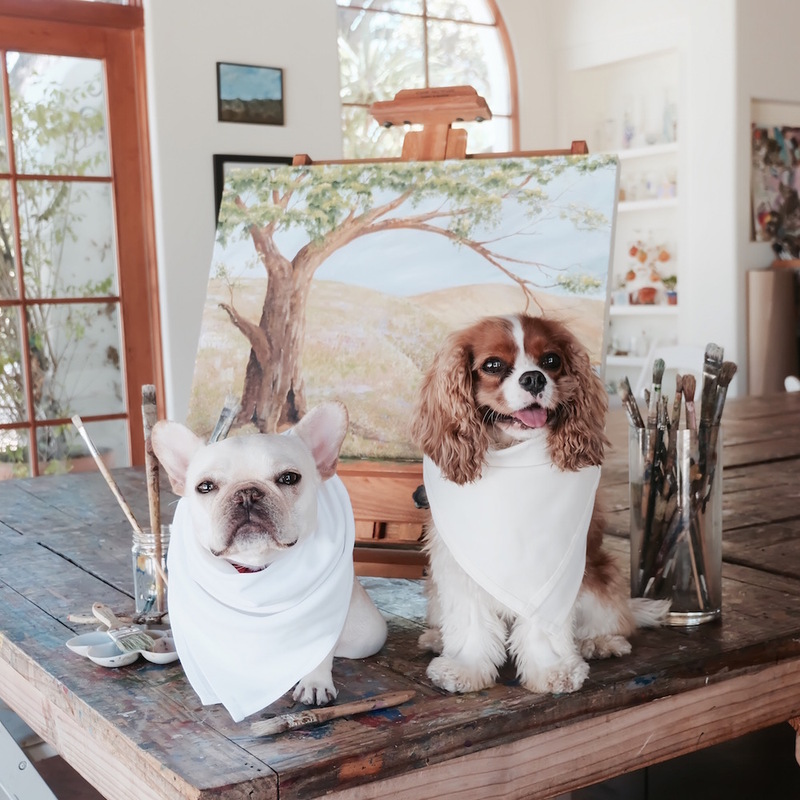 Biscuit and I would love to get in touch with our artistic sides at the Artist cottage! Me and my girl @kaiya_the_frenchie can’t wait to have some girl time making some s’mores and riding the Linus bikes around the beautiful property! Maybe even lay be the pool to see what handsome studs are hanging around! Kaiya’s got a perfect pupikini for pool lounging! We just recently discovered ojai and can’t wait to go back! Would love to relax by the pool, roast some smores at night and bike down to Ventura beach! Would love to bring Brodie (Japanese Chin) to this place! Marni would love snacking on some s’mores by the fire 😍 or chilling by the pool in her bikini of course! With an overview this beautifully portrayed, how could any dog lover not want to race there right away? Thanks for showing us a bird’s eye view of your escape to Ojai! While I love every feature you showed, my favorite of the resort would be that each pup gets their name on the door with a dedicated spot to sleep and gourmet pet food! 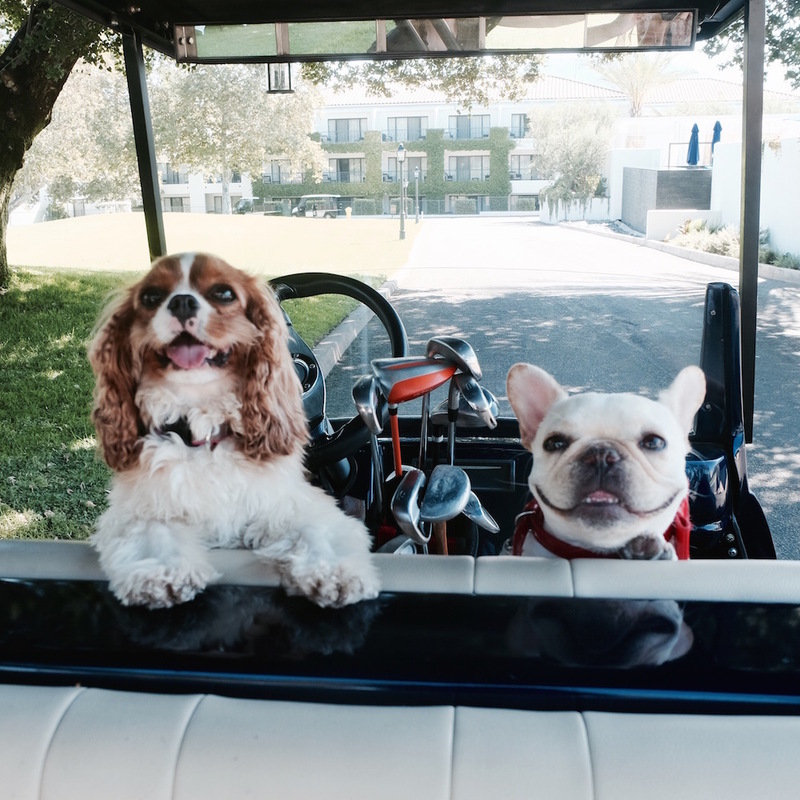 Resorts like Ojai are trailblazers in that they celebrate the importance of fur babies and want to give them five star treatment just like their owners! Waffles and Jelly (2 frenchies) can not wait to try all the walking trails and to run around around on the golf course! Coconut Saint James @coconutsaintjames would be most excited about the five diamond doggie room service! I am a pampered Frenchie! Ojai Valley Inn looks like my kind of place! Can’t wait to sit pool side, hit the spa and maybe squeeze in 9 holes of golf. Yup I could get used to this! I would love to soak up the sun by the pool and relax at the spa! This place has been on my bucket list ever since seeing the videos of Weston and Fira enjoying the property on your Instagram stories! My frenchie Cleo would absolutely love to adventure around this resort. My boyfriend and I have been on many cool vacations but haven’t gotten to bring along our pup yet. We both are golfers and would love to hit the golf course in the morning and then lounge by the pool with Cleo in the afternoon. My name is Emily and my pup is Murrow (@murrow_the_frenchie). Ojai does sound like an absolute dream. 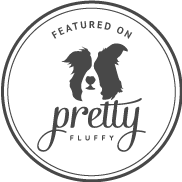 Murrow has never been to California and this dog friendly haven sounds like the perfect place for us to visit as a family. We’d start our morning with snuggles in what I’m sure are super cozy beds. From bed we’d head to our yoga mat and start with a few downward dogs and some meditation. Murrow loves to play ball so of course we’d hit up the tennis court where it would be ball heaven! We’d drink mimosas by the pool and soak in the sun. My husband absolutely loves to golf so we’d get a round in after our pool time. And of course we’d be starving by then and would enjoy an indulgent meal at one of their fabulous places to grab a bite. And the evening wouldn’t be complete without soaking in the sunset. We hope you’ll pick us! I would love to come here for a mini babymoon with my husband and our 2 precious fur babies Holly and Chloe! We’d all love to lounge by the pool and enjoy the sun. My 2 girls love to sunbathe! Recently rescue sweetie frenchie, Mochi from a puppy mill, this sounds like the perfect welcome to the good life vacation. I look forward to the pool and a bike ride with Mochi! I would love to take our two little 4 month old frenchies, Tokyo and Kona, to explore and take walks on the 220 acres of property. They would absolutely love love love all the land they can roam around in. Would also love to enjoy relaxing by the pool, decompress at the spa, and enjoy a round of golf. Love that Ojai valley inn is pup friendly so we can take them with us without the guilt of leaving them home. I would love to come here with my mom and my dog Mini! We usually have discomfort bringing Mini along to hotels, but I feel like this will be a perfect place to spend a good time !! It’ll also help to relief stress and spend quality time with my mom and dog. Eating smores with my new Frenchie Mochi just like Weston and Fira! We adopted her from a tough situation, and I want to share the best things in life with her. 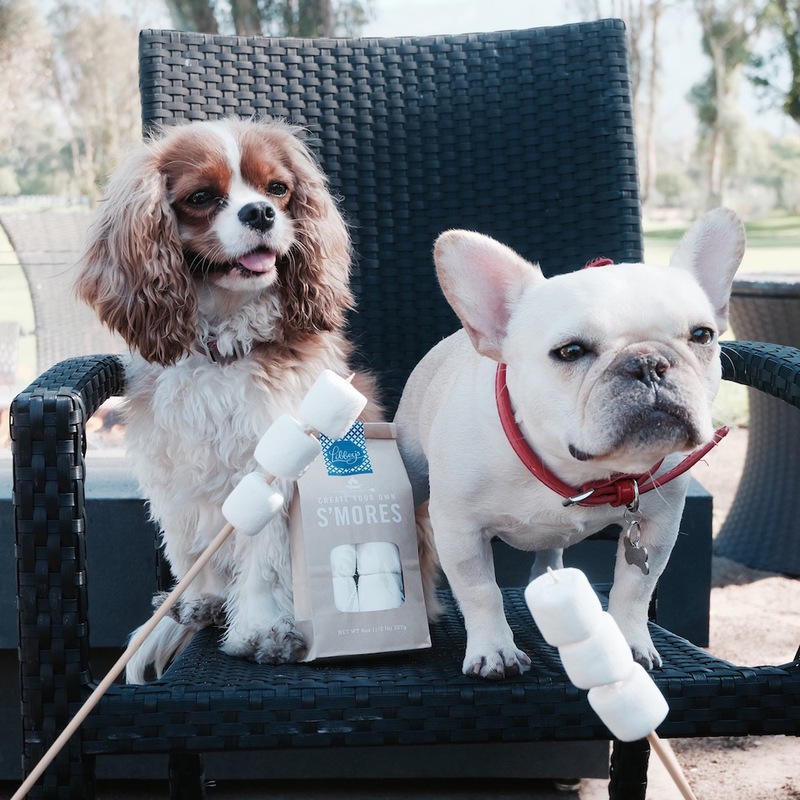 I look forward to making s’mores with Weston & Fira along with our new frenchie, Mochi. We recently rescued her from a bad situation. Would like to show her happiness in life at Ojai Valley Inn.